Loveys, are you going to love me today! Do I have a special *magical* treat for you!!! 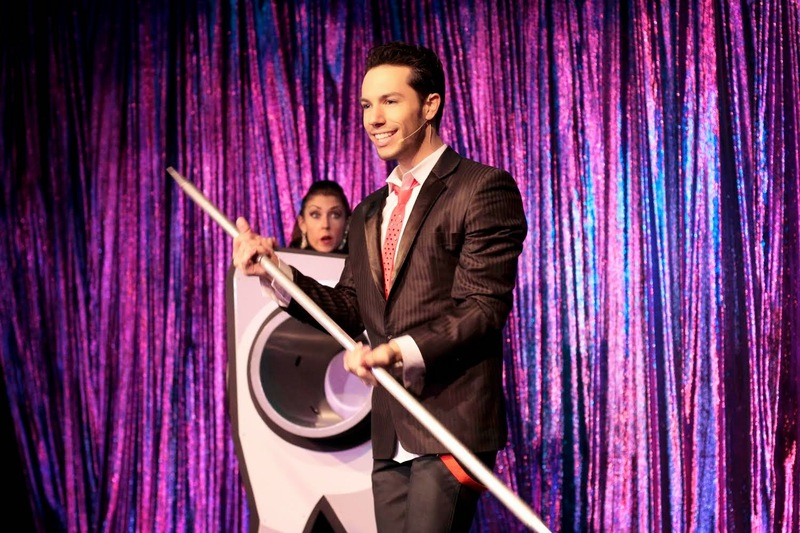 The family and I were in Lake Tahoe last Christmas and were able to see Alex Ramon's magic show, Illusion Fusion. To say it was awesome would be an understatement! The kids still talk about "Alex Ramon" and when do we get to see him again. Not only a great magic show, but funny, as well. Alex's run in Lake Tahoe ended and now he has been touring Northern California cities. The great news for you, my loveys, is that he will be in the L.A./North Hollywood area on November 1st and 2nd. What's so great about that? I asked my favorite magician (for serious! he's super spectacular, and let's admit it - pretty easy on the eyes, ladies!) to come over today and tell you all about his new show, #NewMagic, and all about his fine self! WHAT BETTER WAY TO SPEND HALLOWEEN WEEKEND THAN AT A FAMILY FRIENDLY MAGIC SHOW!?! ALEX RAMON #NEWMAGIC is a magic show with a new style and a new flair! Friendly enough for kids but edgy enough for the adults. Alex Ramon has mesmerized millions around the world. His show was named the #1 attraction in Lake Tahoe for over 2 years. #NEWMAGIC is a modern, fast-paced effort to modernize this ancient art form. It's a family friendly show, which has something for everyone. Magic may be famous for its old-fashioned traditions, the capes and the top hats, but Ramon is determined to change all of that. "#NEWMAGIC is not like anything you've ever seen before. I love performing the show, because I get to see the surprise on everyone's faces. That's a show in itself," says Ramon. At age 29, Ramon is the youngest magician to receive The Milbourne Christopher Award, dedicated to the memory of the American magician and author, recognizes "notable contributions to the art of magic," and "excellence in the magical arts." Previous winners of the Milbourne Christopher Award include Siegfried and Roy, David Copperfield,Harry Blackstone, Jr., and Lance Burton. Only 20 magicians in history have ever received this award. This is not the first time that this young magician has made history. Ramon was cited for his groundbreaking work at age 21 with a touring Disney show, and at 23, for two seasons as the second-youngest ringmaster (and the first magician ringmaster) in the history of Ringling Brothers and Barnum & Bailey Circus, "The Greatest Show on Earth." Most recently, Ramon's show quickly became the leading attraction in Lake Tahoe, California. Earlier this year, he began a West Coast tour with his new show, #NEWMAGIC, in Northern, California. The tour arrives in Southern California in November. Ramon said "It has been over 3 years since I last performed in Southern CA, I love the electricity and the excitement of Los Angeles and feel I will fit in perfectly in the NoHo Arts District. I'm more than excited to showcase all of my new magic and illusions." Here are the deets, my loveys! If you live in the Southern California area, I hope to see you there! My little family and I will be going to the Saturday show! 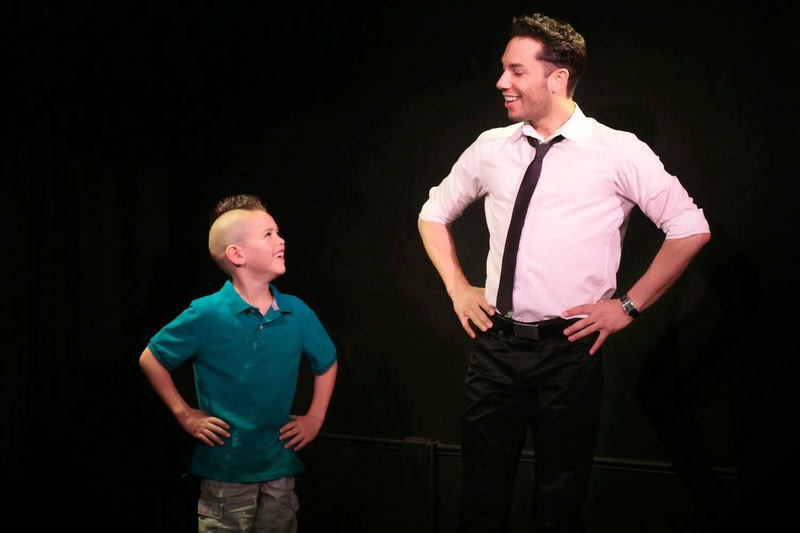 WHAT: Alex Ramon #NewMagic, a magic show with a new style and a new flair! Friendly enough for kids but edgy enough for the adults. Don’t miss your chance to see this illusion show on tour in north Hollywood at the El Portal Theatre for two shows only! Alex Ramon has mesmerized millions around the world. His show was named the #1 attraction in Lake Tahoe for over 2 years, come and see why!